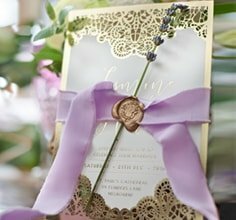 Travel down memory lane and bring back old fashioned elegance with this exquisite folded save the date card. This wedding stationery is designed for traditional and rustic outdoor themed weddings. 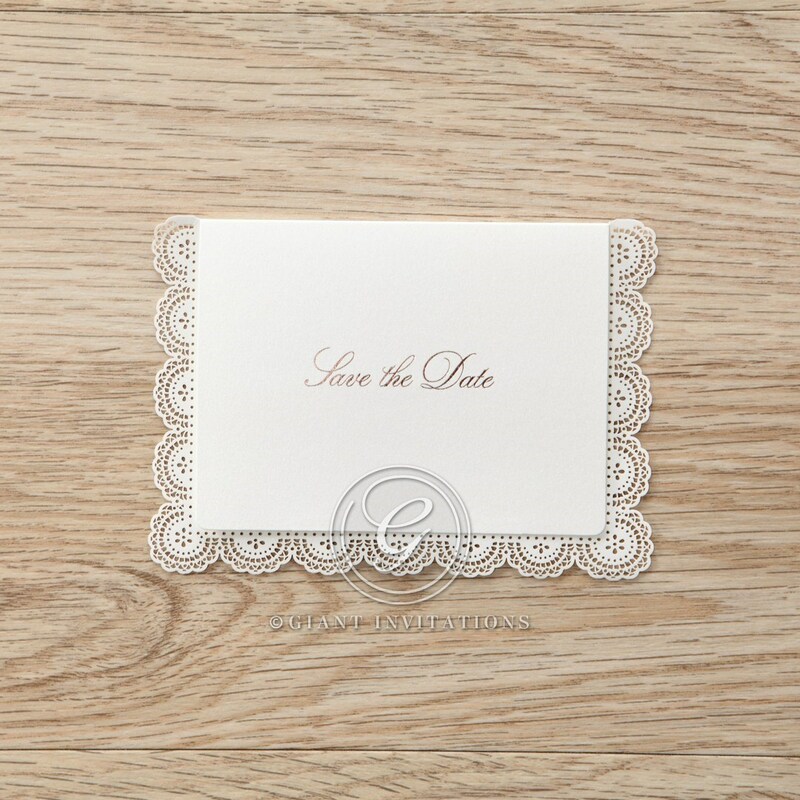 Only the best ivory card stock is used for this card and the latest is laser cutting die techniques is applied to achieve the elaborate vintage lace trim of the bottom half of the card. Classic lettering is used for this elegant creation and it flows from the cover to the inside of the card. The whimsical heart logo between you and your partner’s names offers a dainty touch of romance. This card comes with a complementary envelope that you can personalise by having your guest names and address printed for a small fee. Beautiful, classy design. Excellent quality too!